In the beginning, boxing fights continued until one fighter quit or was knocked out. Brutal but effective. In the 1920’s 15 rounds was adopted as the norm for championship fights. Still brutal. It was reduced to 12 rounds in 1982 after an especially sad event. The Middlecott Sketchbattle Experiment™ has knockouts, but thankfully no designers are injured during the event (provided you don’t consider their egos). Yet the fight is only 3 rounds long. Why? Because we have 3 great themes and even more great partners. Lacks Enterprises is a large supplier of metal finishes for the large OEMs, from satin and bright chromes, to muted and bright colored-chromes called Spinelle(TM), Lacks has long supported designer’s visions of premium metal finishes. Recently the new Tessera(TM) highly detailed 3D textures have been achieving massive interest. Contestants are asked to ultize one of these finishes or textures to create a sketch showing a grill/ and or a wheel in context”. 8 Contestants will start round 2. At the end half will be eliminated. The Championship round is by BASF, a large paint supplier for the OEMs. Use the color “Paranormal Red” as inspiration for your vehicle sketch. Why? “Because the greatest sketchers deserve the best in color inspiration”. 4 Contestants will start the Championship Round. At the end, 1 Sketchmaster will be chosen. In addition to BASF, Harman and Lacks Enterprises, this year we are joined by new partner OSRAM Opto. OSRAM is the global number one in automotive lighting and is at the forefront of developing cutting-edge technology that is leading the industry into the future. Our solutions include everything from infrared pulse lasers for LIDAR that make autonomous driving possible to Micro Adaptive Front-Lighting Systems (AFS) for headlamps and LED and lasers for head-up displays. Enhanced performance, improved security, and a memorable design are the focal points of current automotive lighting trends and OSRAM’s research. This has led to developments in human centric lighting, which coordinates the interplay of light, atmosphere and space to enhance the well-being of passenger; facial and iris recognition technology that identifies drivers and passengers to adapt to their individual requirements; and LEDs for projection lighting that transmit information to drivers and pedestrians and customize the driving experience. Joining Osram is Covestro, who serve the global automotive and transportation industries as an innovative material and technology provider. 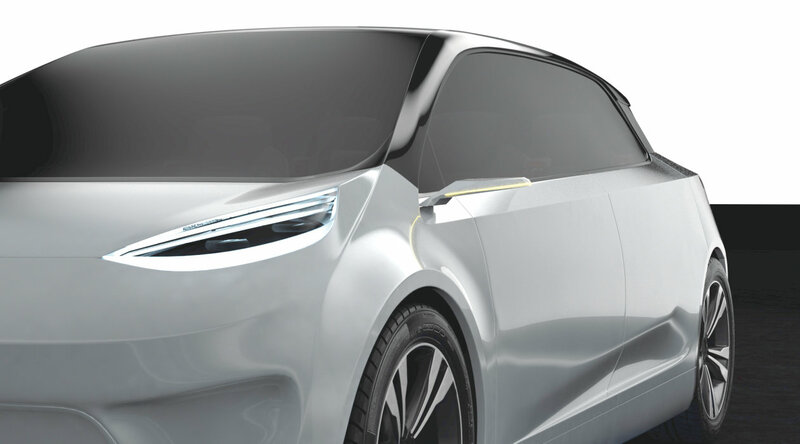 Their global portfolio and technical expertise on polycarbonate and polycarbonate blends provide designers and engineers with lightweight, high-performing materials that make eye-catching design possible and improve vehicle efficiency through weight-reductions and better aerodynamics. And finally, Michael Check from Linkage Design has throw his weight behind the event. Michael has a long history of supporting designers and modelers alike. Linkage Design recruits and employs an elite mix of degreed industrial designers and digital modeling sculptors. We are one of the leading providers of design resources, design solutions & training, with an emphasis on providing these design services by utilizing advanced digital design tools like; Autodesk’s Alias Surface, AutoStudio & VRED; ICEM Surf, Photoshop, Maya and many others. This entry was posted in Middlecott Sketchbattle Experiment and tagged BASF, Covestro, Harman Audio, Lacks Enterprises, Linkage Design, Mobsteel, Osram. Bookmark the permalink. Are they streaming this? I saw it last year, but not seen anyone posting about streaming? Thanks!